DAVID TILSON SWORN IN AS DUFFERIN-CALEDON M.P. 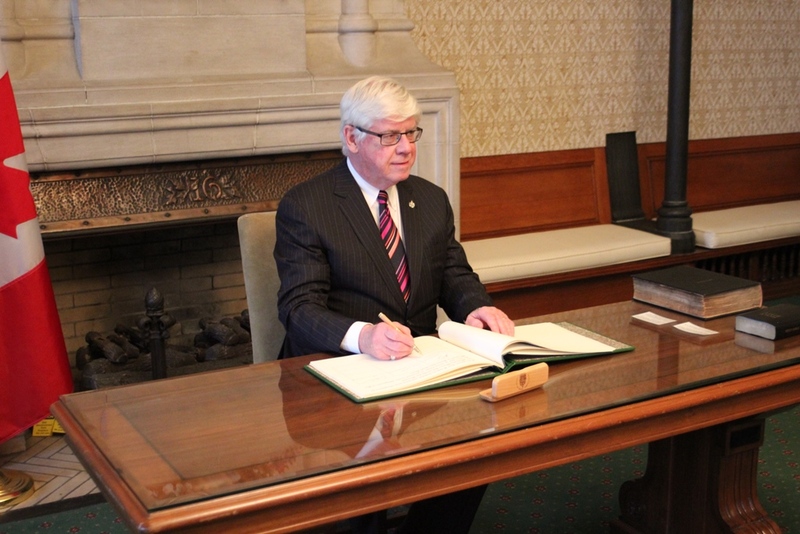 Ottawa, ON – David Tilson was officially sworn in as the Member of Parliament for Dufferin-Caledon during a ceremony at the House of Commons in Ottawa on November 27, 2015. The ceremony was conducted by the deputy clerk and was attended by members of Mr. Tilson’s family. Mr. Tilson was re-elected in general election of October 19, 2015, following the 78 day campaign. First elected federally in 2004, Mr. Tilson was re-elected in 2006, 2008 and 2011. During the most recent Parliament, Mr. Tilson served as Chair of the Standing Committee on Citizenship and Immigration and as the President of the Canada-Europe Parliamentary Association.